Well hello to you my reader chums! Tis' the season for fairy lights, film nights in, tartan scarves and every blogger's favourite: berry lipsticks. 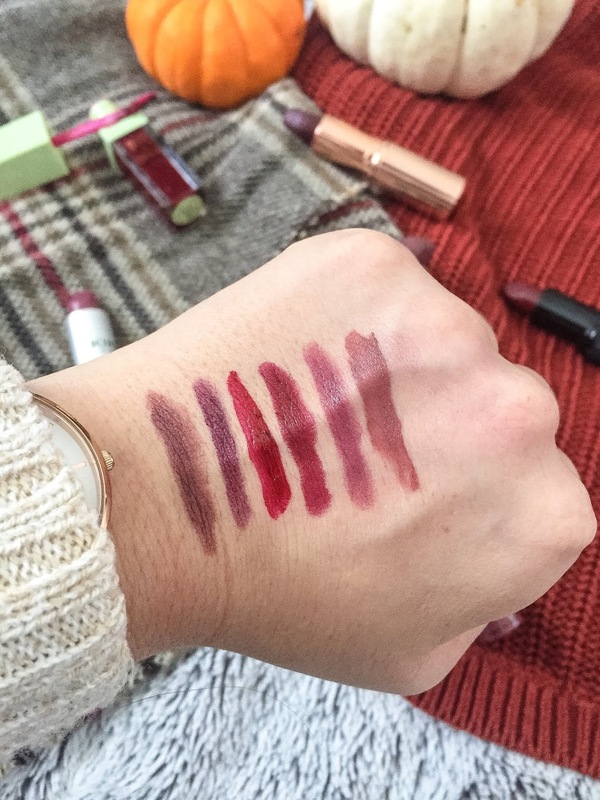 I'm a huge berry lipstick fan and when it comes to buying a new lipstick, I always draw towards those shades. As someone whose gathered a lot of berry lipsticks, I wanted to share my favourites with you. 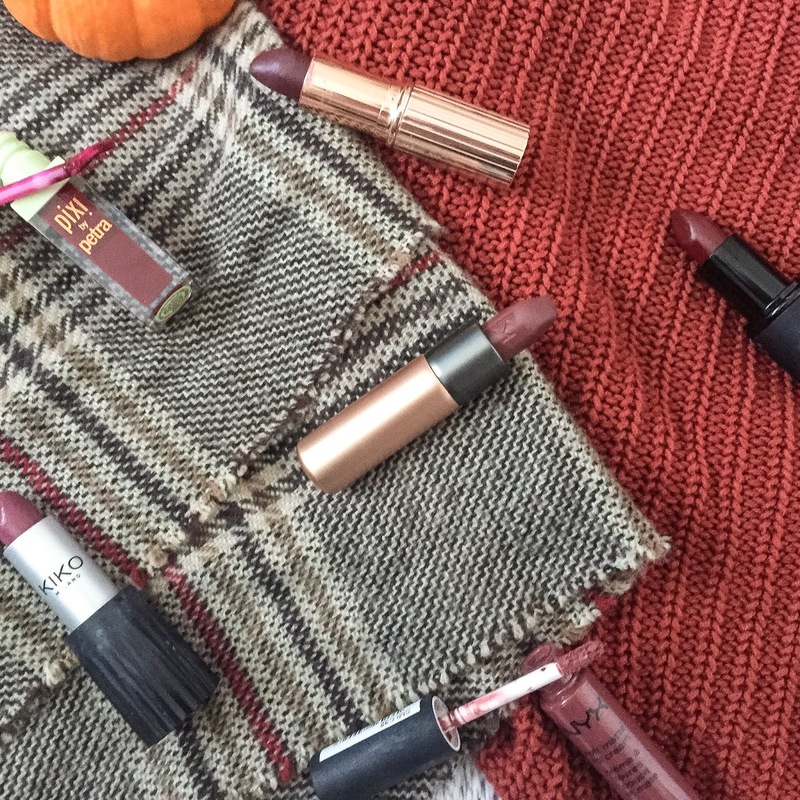 I mentioned this lipstick in my October favourites, as it's become my go to berry lipstick lately. Unlike your typical bright berry, it's quite toned down and can be worn for a variety of looks. That's what I love the most - its versatility. The lipstick can be worn on everyday wear and to jazz an outfit up. The shade is a mix between berry and mauve, and is slightly darker than expected. It's not the longest wearing lipstick, however it's the creamiest texture on the lips and sits very comfortably. Charlotte Tilbury's lipsticks are the most beautifully packaged around; you really can't beat the rose gold tube. 'Glastonberry' has been raved about for years, and I can see why. 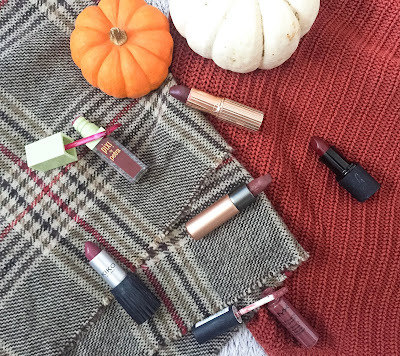 It's a typical, dark berry lipstick that will match with every autumnal look. The lipstick is creamy, comfortable and feels luxurious to wear. For those who prefer a pink toned berry, this one is for you. The liquid lipsticks are as it says by the name, very liquid based. Even though it is rather watery as you apply it, considering the texture it doesn't take too long to set on the lips. The lasting power is really strong, and it works as more of a lip stain. I love matte lipsticks as they tend to last longer on the lips, however not everyone is a fan of matte and prefer creamier consistencies. This sheen lipstick is the one to go for. It has a similar opaqueness of a dark berry/red lipstick with a soft texture on the lips. This lipstick is very similar to 'velvet passion' just a little lighter in shade. It's quite mauve toned and has a super soft texture. I love wearing this as an everyday lipstick because it's rather toned down with a little colour pop. The packaging is also really unique - to close the lipstick, there's a magnet which makes it very handy to travel with. A berry lipstick with my favourite city's name? It's a yes from me. Like all Nyx's matte lipsticks, it has the whole package: long lasting power, an opaque colour and soft texture. 'Rome' is more of a brown toned lipstick and has berry colour running though it. It's a great everyday lipstick and I couldn't recommend it more. I hope you liked this berry lipstick post. What's your favourite berry lipstick? I love berry shades! I recently got rid of most of my lipsticks (they were so old, so embarrassing!) so I need to restock on some colours! Might have to treat myself to one of these... they all look amazing! Berry lipsticks are my favourite colours! That nyx one looks really nice. My favourite is Mac's studded kiss, it's a matte lipstick so it stays on for ages!